NAI Horizon’s 2016 Top 10 Producers are highlighted by a diverse group of brokers whose transactions totaled more than $275 million representing multiple property types. The broad range of product type represented in NAI Horizon’s Top 10 is indicative of the overall health of the Valley’s commercial real estate industry. The collective success of NAI Horizon’s professionals from industrial, retail, office, and investment sales was fueled by a healthy market and driven by strong engagement, vast experience and forward-thinking mindsets. It allowed these agents to secure the best possible outcomes for their clients. “NAI Horizon’s broad range of specialties combined with our broker ownership program were instrumental in the company’s overall success last year,” said CEO and President Terry Martin-Denning. “The broker ownership program offers agents an opportunity to play a direct role in the company’s future. This creates a culture in which our agents can maximize their own business while still benefiting from the resources of a national platform. 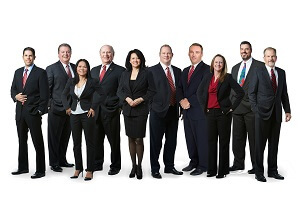 An overwhelming majority of our top producers have ownership in the firm and are members of the Executive Committee. “With an ever-changing commercial real estate landscape, NAI Horizon has not only embraced change, it has built a platform that allows our brokers to thrive. This platform will be a driving force as we strategically add new brokers to our team in 2017,” Martin-Denning said.